The Individuals with Disabilities Education Act provides a legal basis for the administration of special education. Federal, state and local policies have been developed to create a referral to placement process that reflects the intent of this law. 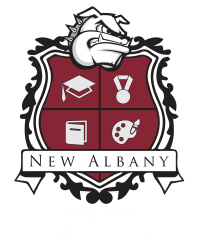 The New Albany School District is committed to identifying and providing services to any student who meets the eligibility requirements of this law. It is our goal to serve these students to the greatest extent possible in the regular education setting. However, we provide a continuum of services in a variety of settings to meet the individual needs of our students in the least restrictive environment. The New Albany School District participates in an on-going child find effort. If you are aware of any student in the New Albany School District requiring special education services, please contact the Office of Special Services at (662) 534-1802. Visit www.frogananny.com, the Frog-A-Nanny Super Challenge website. Frog-a-Nanny is a modified baseball game for students with severe and multiple disabilities in the New Albany and Union County Public Schools. Disabilities range from autism to Down syndrome, profound, moderate mental retardation, physical impairments, and traumatic brain injury. Section 504 of the Rehabilitation Act of 1973 provides a legal basis for evaluation and services to students with various disabling conditions. A referral for services process has been developed and is implemented locally for students who meet specific criteria. Please contact the Office of Special Services at (662) 534-1802 to make a referral.